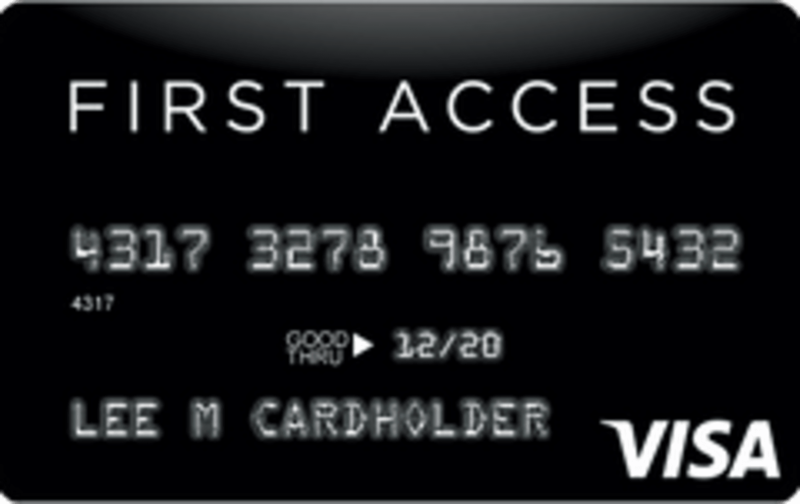 The First Access Visa Card: Worth It? If you have no other options and need to rebuild your credit, this is the card for you. The information related to the First Access VISA® Credit Card has been collected by ValuePenguin and has not been reviewed or provided by the issuer of this card prior to publication. The First Access VISA® Credit Card was made specifically for people with subprime credit ratings, but is this the right choice for you? The card has the potential to help individuals quickly recover from poor credit, but due to its high fees, it may only be worth it as a last resort. The First Access VISA® Credit Card is targeting an important market of individuals who have bad credit and are trying to recover, but the amount of fees makes the card mediocre. The combination of an annual fee, monthly service fee (although waived for the first year) and program fee add up quickly and should deter most consumers from applying for this card. The card also features a staggeringly high APR. On the other hand, the card has an extremely simple application process and accepts many individuals who may have no other options available given their current credit ratings. If you are truly struggling to be approved for a credit card and don’t know where to go next, this card may be for you. Regardless, you should take a look at and apply for its alternatives first. The First Access VISA® Credit Card is an answer for individuals who want to rebuild their credit but have been declined by the few other issuers who offer subprime credit cards. This card boasts a quick and easy online application process that provides results in minutes, and it also accepts the majority of its applicants. Despite the many fees, the First Access VISA® Credit Card would absolutely improve an individual’s credit rating if they manage their finances well. The card reports your payment history to three major credit bureaus. Therefore, as long as you pay your balance off in full each billing cycle to avoid the high APR, your credit rating will improve rapidly with the immediate $300 line of credit that is available to you. You can also apply for a higher line of credit after a few months of using the card. Because the bank that issues the First Access VISA® Credit Card is taking a risk in approving individuals with subprime credit ratings, there is a hefty amount of fees. There is a one-time $89 program fee that must be paid to access the $300 line of credit. There is also a $75 annual fee for the first year that then reduces to $48 for all following years. In addition, the card features a monthly servicing fee that adds up to $75 annually, but that fee is waived for the first year. The array of fees may be difficult for some to manage. Another concern is that the card has a tremendously high APR of 34.99%. You will need to pay off your entire balance each billing cycle to avoid having to deal with this rate. Having to pay both the fees and entire monthly balances may be difficult, so make sure this is feasible for you before applying. The card reports your payment history to three major credit bureaus, provides a $300 line of credit immediately and has a simple application process. If all other options have failed, you should definitely apply for this card and begin to rebuild your credit rating so you can have access to better options in the future. 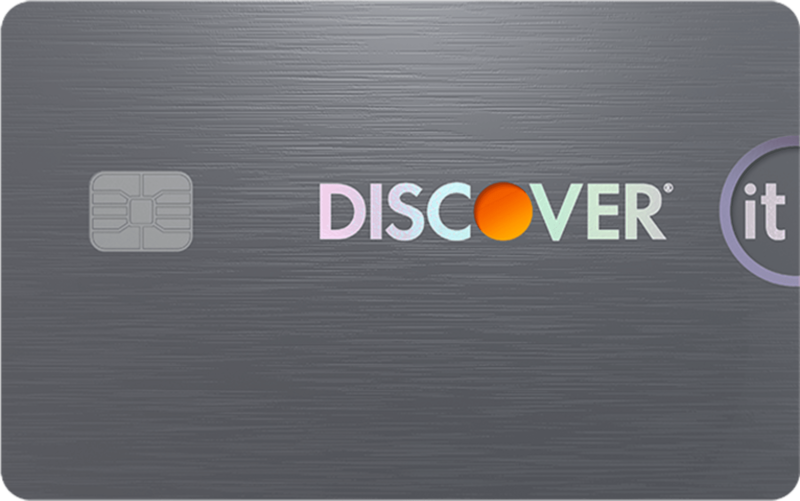 We recently selected the Discover it® Secured as the best credit card for individuals with poor credit in 2019. It has a lower APR of 25.24% Variable and no annual fee whatsoever, but its greatest strength is easily its cash back rewards. It offers 2% cash back at gas stations and restaurants up to $1,000 in combined purchases each quarter, in addition to unlimited 1% cash back on all other purchases. Also, your cash back is matched at the end of the first year. However, unlike the First Access VISA® Credit Card, this is a secured credit card, meaning that it requires a security deposit between $200 and $2,500. This deposit will decide your available line of credit, and the entire security deposit will be refunded back to you after eight months of punctual payments. Being able to choose your line of credit is a significant benefit over the First Access VISA® Credit Card’s flat $300 initial line of credit. 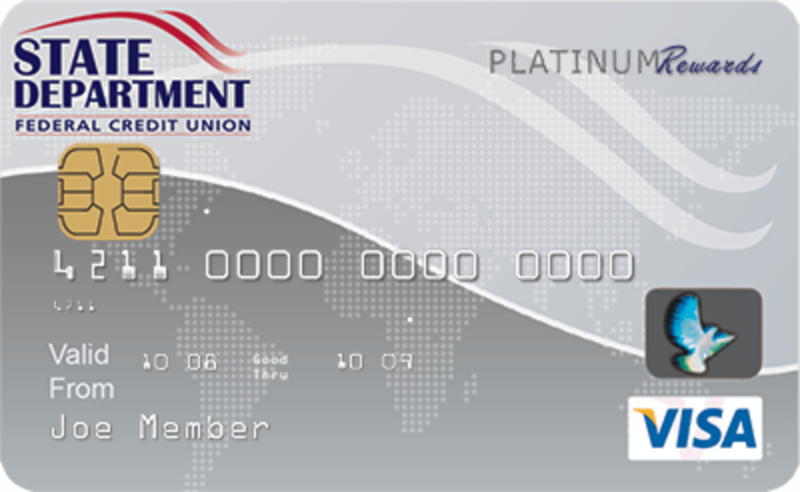 The Savings Secured Visa Platinum Card has a variable APR rate of 13.99%, which is the lowest APR available for a subprime credit card. This card would be ideal for individuals who struggle to completely pay off their balance every billing cycle. Similar to the Discover it® Secured, the Savings Secured Visa Platinum Card provides value back on all purchases. This card gives one point for every dollar spent, meaning you will rack up points on every purchase. 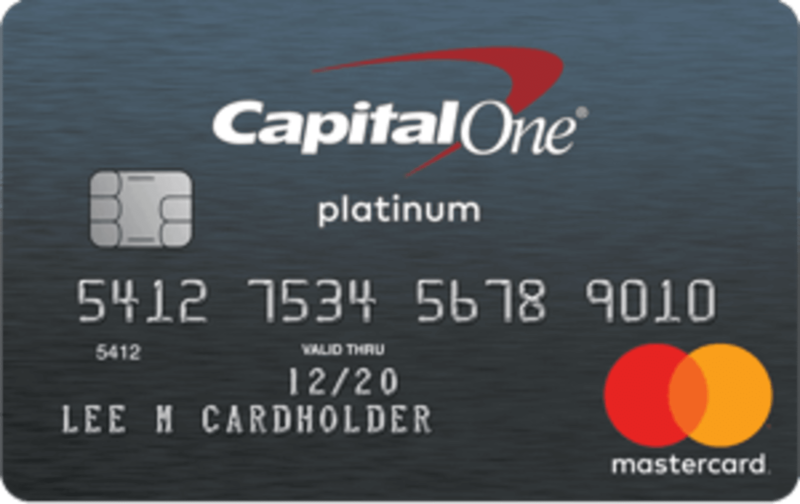 The Capital One® Secured Mastercard® has an APR of 26.99% (Variable), which is still lower than that of the First Access VISA® Credit Card. There is also no annual fee. Unlike the other two alternatives, this card unfortunately does not offer cash back or reward points. The Capital One® Secured Mastercard® requires a security deposit, but it will give a line of credit greater than the deposit provided. For example, a deposit of only $49 will grant a $200 line of credit. That credit will be significantly greater if you choose to deposit a larger sum, meaning you have significant discretion in deciding the size of your credit limit from the very beginning. We would strongly recommend applying for the alternatives before the First Access VISA® Credit Card, given that all have less fees, better benefits and were also intended for people who have poor credit. If you are unable to qualify for any of these alternatives, then you should apply for the First Access VISA® Credit Card. Remember to completely pay off your balance every billing cycle because of the high APR, set funds aside to pay off the fees, and you will be able to quickly rebuild your credit rating.